Read Receipts in iMessage allow the sender of a message to know when a recipient has received it, and both the Mac OS and iOS Messages apps support this feature when communicating with other iMessage users. But many Mac users don’t want to send Read Receipts to everyone, and with the latest versions of Mac OS you can now selectively choose who to send read receipts to. 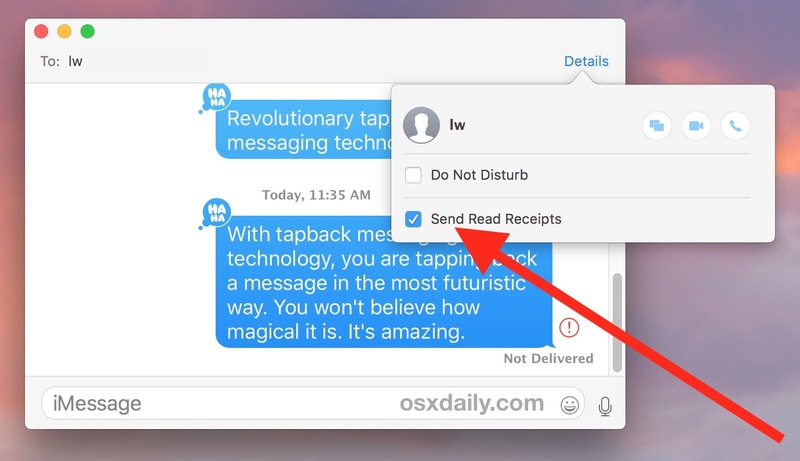 In practice, this is basically the same as turning on Read Receipts for specific contacts on iPhone and iPad, except it applies to reading and sending iMessages from the Messages app on the Mac. 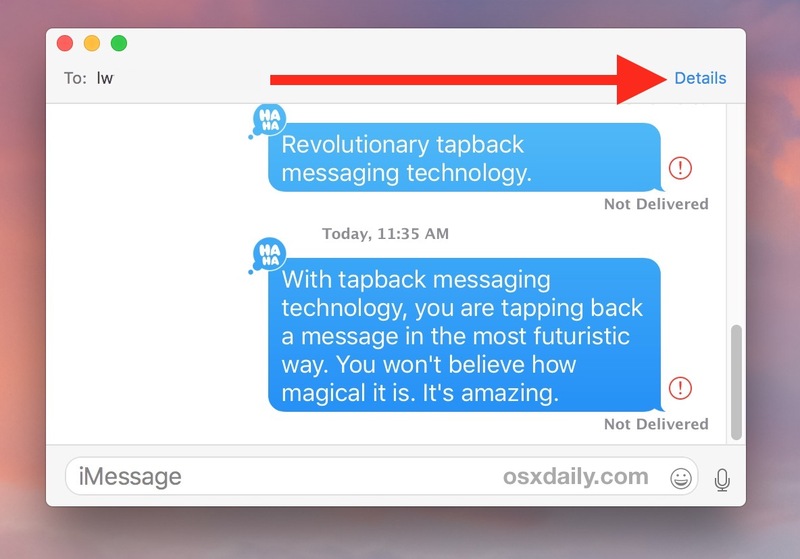 This assumes you have Read Receipts in Messages for Mac turned off. You can adjust that setting in the Messages Preferences for individual iMessage accounts. If you’re going to be enabling per-contact read receipts on the Mac, you’ll probably also want to allow per contact Read Receipts in iOS so that your experience sending them out is consistent on all Mac, iPhone, and iPad hardware. Remember, to send individual read receipts to specific contacts, you must have Read Receipts turned off broadly, which you then selectively enable with the above tip. This is the same on the Mac, toggled on or off through Messages Preferences, and on the mobile side with iPhone and iPad, where you can turn off all read receipts in iMessage for iOS through Messages Settings. How about posting how the stupidly idiotic draw function of Messages in iOS10 can be permanently disabled, so when the phone is turned to landscape mode I can type on the MUCH LARGER than in portrait mode one? IMO one of the stupidest ideas ever from Apple. I’m sure the 10 yr olds love it though. I have complained officially to Apple, and hope to God they make some way to defeat this permanently in the near future.